If you need to sell your home fast, you could choose the traditional route of listing it with a realtor. But, this might not be an option for those who have limited time to sell, need quick cash, and want to receive the highest value possible when selling their home. All in all, selling with a realtor does prove beneficial if you have time to wait, and to accept offers on the home. 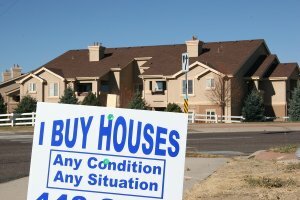 With this said, those who are crunched for time, and need to sell quickly should consider selling their home to a real estate investor instead. Here are 5 benefits of selling your home to a real estate investor worth considering. When you sell to an investor, you receive an offer generally within 24 hours of your request. No waiting around twirling your thumbs, hoping that an open house will help get your home sold. Simply call the investment company you’re interested in, have them come to the home and assess it, and an offer is can often times be made on the spot. From there, you can choose to accept, make a counter-offer, or decline. It’s up to you. But, you will receive a fast offer, meaning no waiting around for long periods of time. Have you been receiving foreclosure notices? Is the bank threatening to repossess your home? If so, selling to a real estate investment company might be the solution you have been looking for. Not only do they buy homes as is, they will pay cash once you sign the offer acceptance sheet. In many cases, the real estate investment company can take over your mortgage, and allow you to rent the property from them, if you want to remain in the home. It’s a great way to avoid having a foreclosure hit your credit score hard, and putting your family at risk. If you simply can’t sell it quickly enough, or don’t have the money to come up with if you are behind on mortgage payments, this is an option for you to consider as a homeowner who is struggling to make ends meet. It might not be the ideal situation, but it can get you out of a difficult situation you may currently be in. Real estate investment companies have the finances to pay you cash for your home flat out. If you accept the offer an investment company makes to buy your home, you will receive cash (or a check payment) the date of closing. Upon signing on the dotted line and selling your home to them, you will receive your payment.You don’t have to wait several months for bank financing to come through if you sell to a traditional buyer. You also don’t have to worry about a potential buyer backing out last minute, if they really aren’t sold on the home. This is ideal for those who are struggling financially, need money to move, or for other expenses you might be struggling to pay off. When selling to an investor, you forego the commission check you would otherwise have to hand over to your realtor. The company does not charge a fee for their services. The offer which is made to you for the property, is the amount you are going to receive on the date of closing on the home’s sale. In addition to this, closing typically occurs quickly. For most sales, in a matter of 10 days or less, you can have a check in your hand, for the full offer price which the real estate investment company made to you. With a traditional realtor, homes can sit on the market for weeks, months, or in some severe cases, over a year. If you need cash now, and are struggling to make ends meet, do you really want to wait long on an offer? 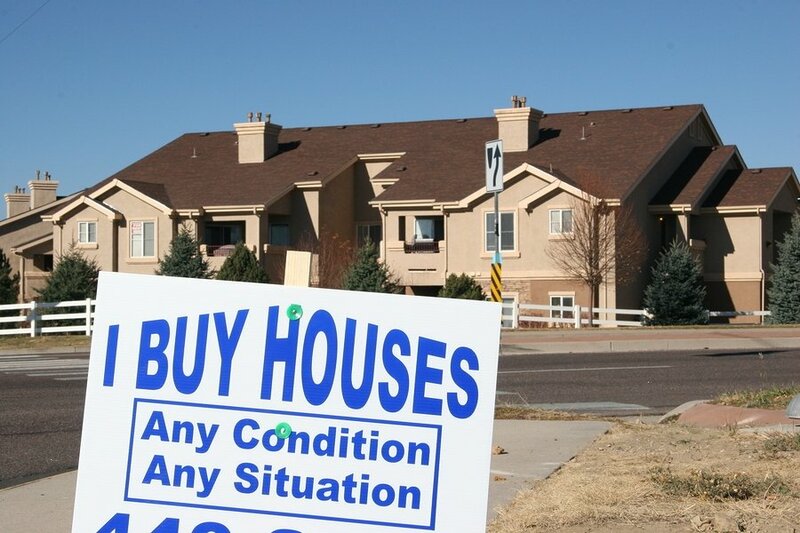 One of the greatest benefits and reasons so many owners who need to sell their house fast choose investors is the fact that they buy property in “as is” condition. If the roof is caving in, the foundation is shaky, if major repairs need to be made, investors will not ask you to spend money on these repairs, prior to selling the home. Further, you don’t have to do inspections and pay an inspection company to investigate the home prior to sale. And, if there are liens, credit issues, or other legal encumbrances, the real estate investment company will still purchase the home from you, and you will not be required to clear these issues prior to them agreeing to buy the property from you. “As-is” truly means they are going to buy the property as it is, on the date that you agree to the terms and offer which they make on the property to you. If you are the type of owner who simply doesn’t want to do work on the home, doesn’t have time, doesn’t have the financial resources, or would otherwise like to skip this process, a real estate investor is the route to go when selling your home. Its quick, there’s no work involved, and you receive the highest “market value” offer for your home, based on its condition. And, there is no need to call several inspection companies to visit the property prior to selling; investors will do this at a later date. If you are in need of instant cash or plan to sell your home in the near future for other reasons, why not consider reaching out to a real estate investment company? Not only do you avoid the realtor commission check you have to pay out, it requires far less work and effort from you as an owner, to get the property sold. And, you don’t have to sit around on your hands for months waiting for an offer, as most real estate investment companies are going to turn around right away, and make a viable offer on the property. St. Louis Realty Advisors is ready to help! Call us today at 314-326-4900 to learn more.